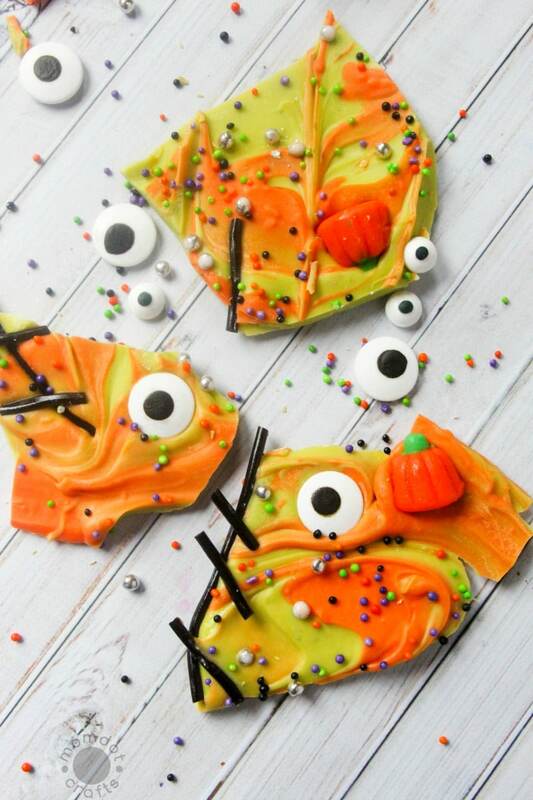 Home » Recipes » Desserts » Easy Halloween Bark: Frankenstein Fun! 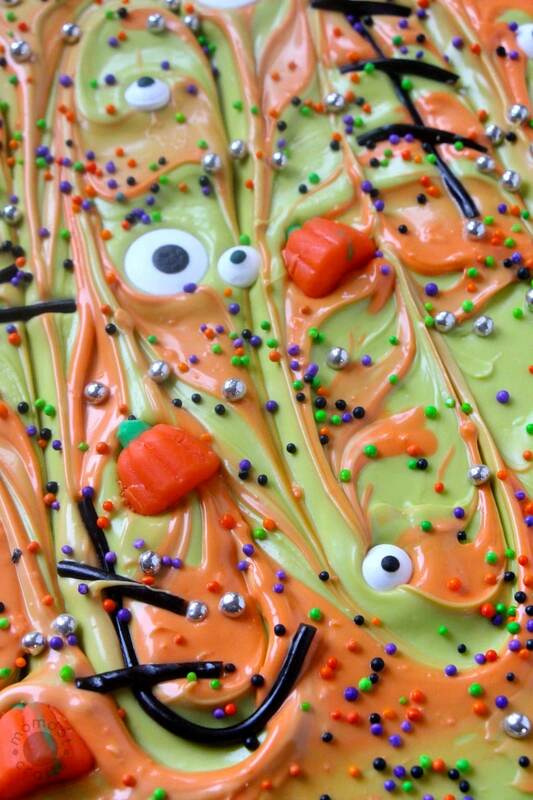 Easy Halloween Bark: Frankenstein Fun! Happy Halloween my friends! This week if you have been following along, you probably realize I am obsessed with all things Frankenstein. 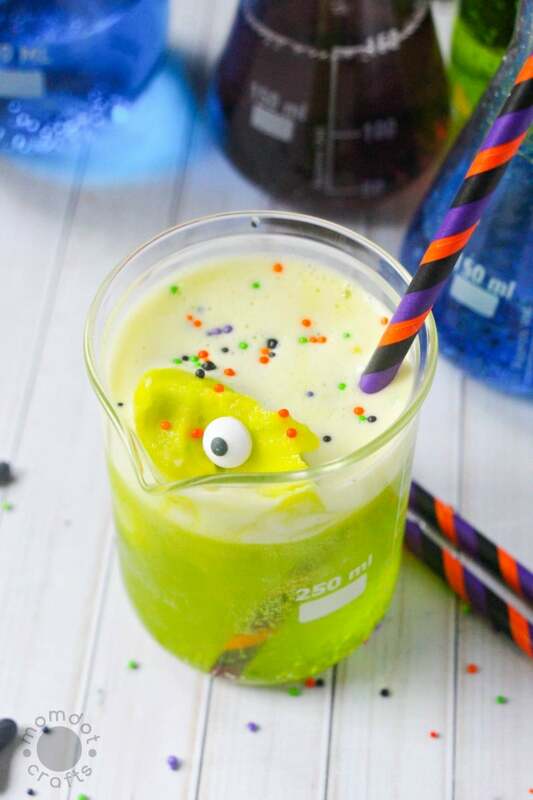 If you are setting up a Halloween party this year, I have made it super easy for you to get your big green guy party going. 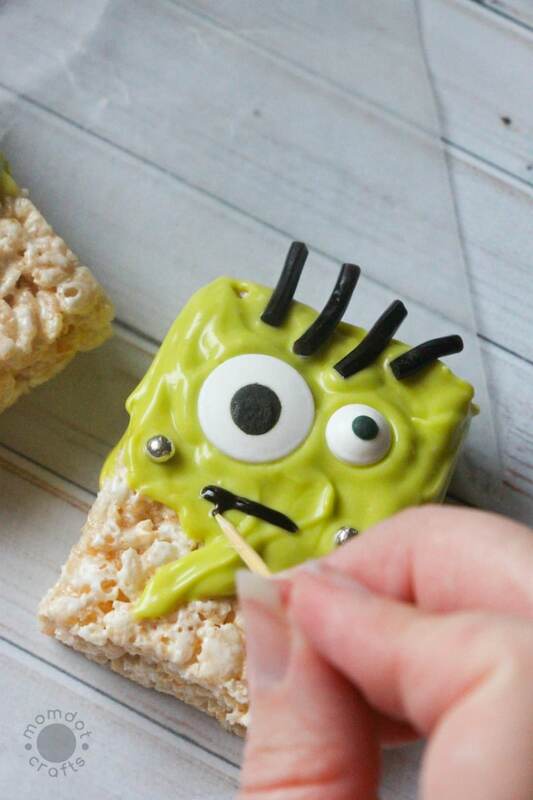 If you missed anything, make sure you visit Non Candy Halloween Alternative, Frankenstein Punch, and Frankenstein Rice Krispie Treats before you leave. Halloween bark is probably hands down the easiest holiday recipe you can do. It’s simply melted chocolate that hardens into breakable and edible pieces. The best part about melted chocolate is that the colors can easily be mixed up and you can add almost any type of candy to it and make it fun. For this Frankenstein bark, we did just that. You can imagine that Frank is an unassembled monster just waiting to come to life. This bark is all of Franks gonna be pieces rolled into one fun bark. 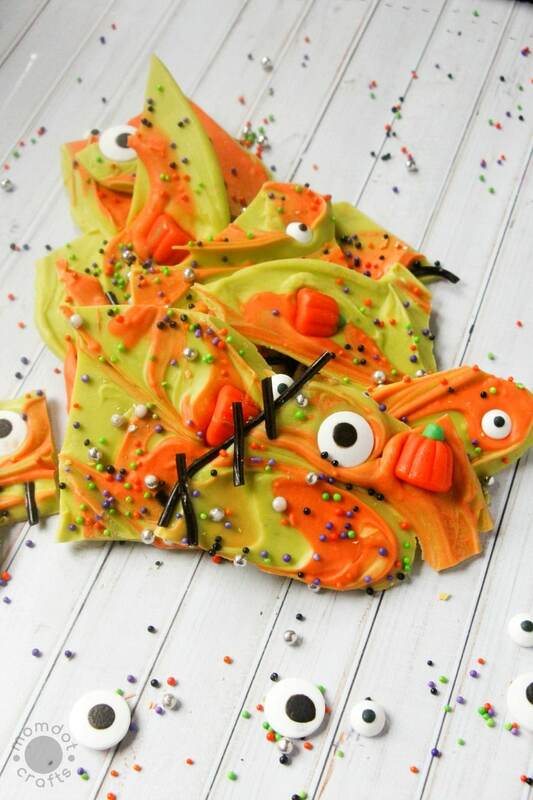 You can easily provide a tray of Halloween bark out as parties or wrap up and pass out to classrooms for some fun giggles. Plus, get your kids involved in this one! They love to add the candy and it’s a good way to get your kids into the holiday baking season. Grease a large cookie sheet with shortening or butter. Melt the green candy melts in a microwave-proof bowl in 30 second increments, stirring well in between each heating. Pour the green candy melts onto the cookie sheet and spread out with an offset spatula. Melt the orange candy melts in the same way you did the green. Drop spoonfuls of the melted orange candy overtop of the green, and then run your offset spatula through the melts several times to make a marbled effect. 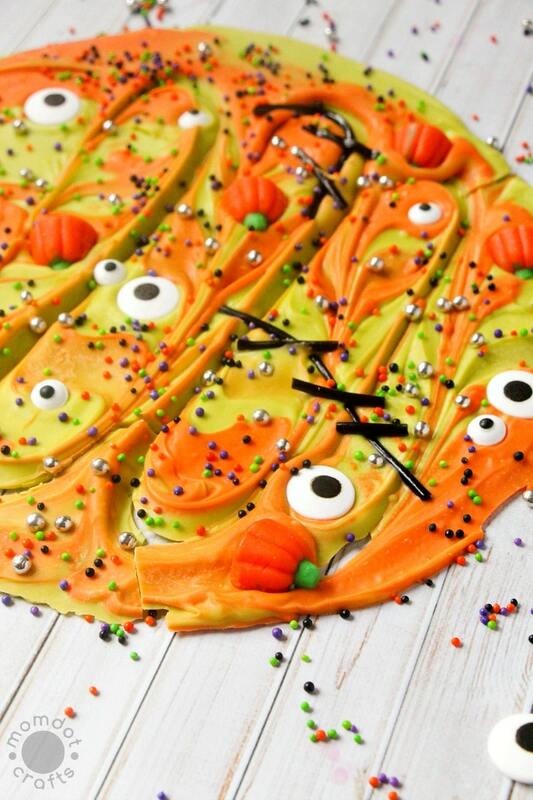 Use the garnishes to create an over-the-top Frankenstein bark however you’d like, while the candy melts are still wet. When you are done decorating, place the bark in the fridge to set. Use the garnishes to create an over-the-top Frankenstein bark however you'd like, while the candy melts are still wet. 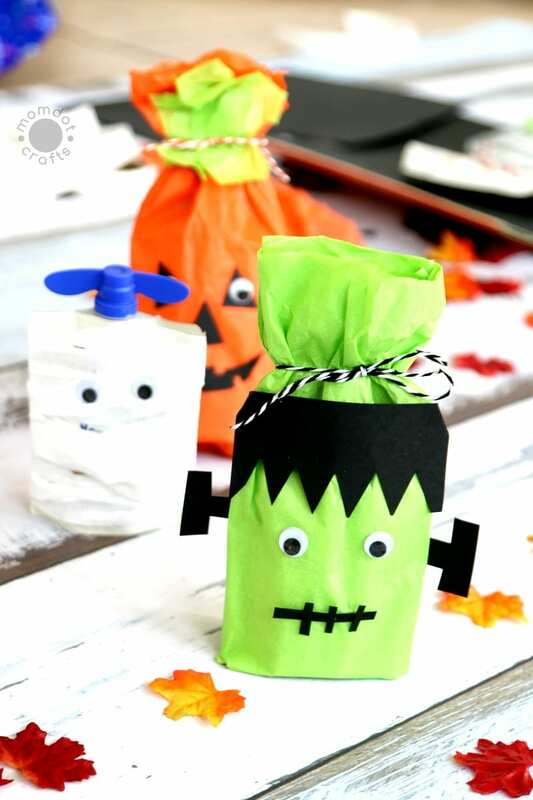 Visit more Franken-Fun Ideas below!